ACE was founded by Jeffrey House, who moved to the USA from the UK in the 1970s - looking for opportunity with not much wealth to get himself started. After years of long distance love, his beautiful girlfriend Angela followed him to the USA from the UK and they were married in Las Vegas. Jeffrey found luck in the apple orchards of Sonoma County California, where familiarity drew him to cider making, having had experience with the popular alcoholic beverage in the UK. Preparing for a cider business of his own, Jeffrey worked in the beer and cider industry saving money until 1993 when he was able to open ACE Cider, California's Original Cider Mill. Over these years, he had three sons with his beautiful wife and sent them to be educated so that they would be prepared for the world's opportunities ahead. Now decades later, having helped build the American hard cider industry, Jeffrey finds luck and refuge in his sons' passion to continue building his family cider business. We innovate, we sample, we perfect - we hope you'll enjoy our ciders! It’s time to try something new and exciting. Cider is lower calorie and gluten free in comparison to other alcoholic beverages. 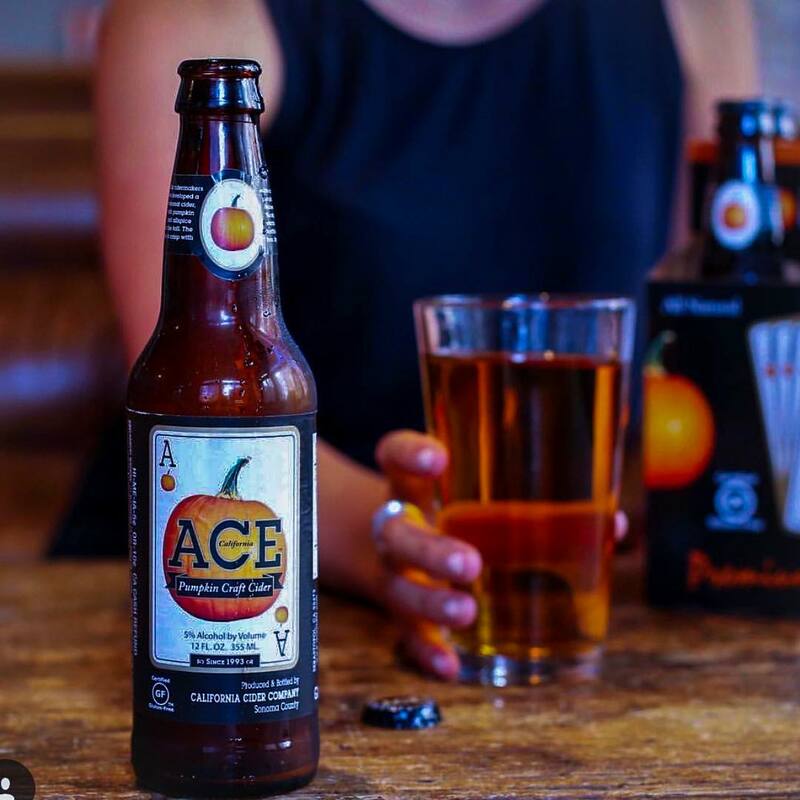 ACE ciders are a refreshing alternative to beer and wine. No sugar is added to our beverages! The only sugar occurs naturally from fresh fruit, making our ciders crisp in taste and flavor. Our award winning ACE ciders are pure, clean and refreshing because we use only the best eating apples for our juice and the best ingredients we can buy. We use champagne yeast in all of our cider and ferment them 10 -14 days. We then cold – filter 4 times and add the perfect amount of carbonation to quench your thirst! Enjoy! I am a cider lover, I have tried ciders from all around the world especially from the US and ACE is the only cider from which I have liked ALL of the flavors. The variety is very good and they’re low in carb content in comparison with other ciders but still have a sweet flavor that doesn’t overwhelm you. The pumpkin and pineapple ones are delicious. I planned a birthday trip to San Francisco just to try them all on tap at their pub. ACE is my favorite cider by far!!!! Best pear cider I've ever had! It's just sweet enough and retains the tartness that makes your tongue happy. The first bottle I had was warm and I literally caressed the bottle. It's that good! I even talked a guy at the store into getting a 6 instead of the pumpkin beer his wife wanted. The apple cider is perfect for Beestings! For those that don't attend Ren Faire a Beesting is hard cider with some mead in it. The crisp tart of the apple is perfect for this concoction. My boyfriend and I love ciders. I just tried the pineapple and I'm in love. I can't wait to try the other flavors.